Replacing a drain field requires a permit from your local environmental health department. Please see Permit Information for a list of health departments, applications and fee schedules. Drain fields are also referred to as leach field and soil absorption field. lines damaged by root intrusion from nearby plants and trees. Drain lines are an integral part of any septic system. Responsible for transporting liquid effluent from the septic tank to a drain field. Lines that are in disrepair can lead to septic tank overflows, waste water back-ups, saturated drain fields, and significant health and safety issues. It is critical to address any drainline issues as soon as possible. Puddles and or Wet spots in the yard or wastewater floating to the surface the yard is definitely a symptom of a clogged septic drain field. 2. Septic Odors A lingering Smell of septic odor(Rotten eggs) on your property or coming from your household drains is a sign of a clogged or failing system. 3. Slow Running Drains If you have issues with slow, sluggish or gurgling sinks, tubs and toilets, this is a sign that your septic drain field is clogged or failing. 8.The grass is greener. lines of lush green grass over your drain field or around the lid of your tank can be a sign of a failing system. Replacing a complete Septic systems can be costly, therefore timely and proper care of the Septic system is key. WHY DO DRAIN FIELDS FAIL? There is no way to guarantee that a drainfield will never fail even under the best of conditions. There are many factors That determine water absorption capabilities of a drainfield. What can I do to avoid drain field failure? 1. Know where your system and replacement areas are located and protect them. Before you plant a garden, construct a building, or install a deck or patio, know the location of your system and replacement area. 2. Practice water conservation and spread out water use throughout the week to keep from overloading the system. The more wastewater you produce, the more wastewater the soil must treat and dispose. An example of spreading out water use over the week is, one-two loads of laundry per day rather than several in one day. 3. Direct water from surfaces such as roofs, driveways,or patios away from the drainfield and replacement area. Soil over your system should be slightly mounded to help surface water run off. 4. Keep traffic, such as vehicles,heavy equipment,or livestock off the drainfield and replacement area. The pressure can compact the soil or damage pipes. 5. Landscape your system properly. Do not place materials that don’t drain well over your drainfield or replacement area. Materials such as concrete or plastic reduce evaporation and the supply of air to the soil needed for proper wastewater treatment. Grass is the best cover for your entire system. 6. Periodically inspect the drainfield and downslope areas for odors,wet spots,or surfacing sewage. 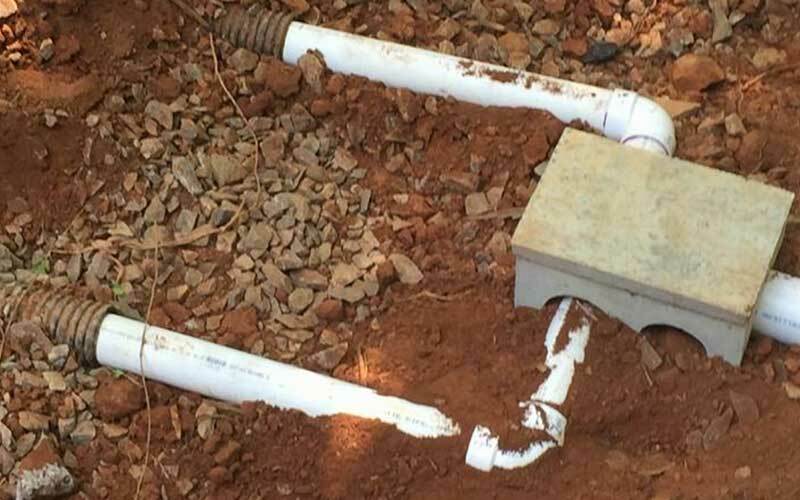 If your drainfield has inspection pipes, check them to see if there is a liquid level continually over 6 inches. This may be an early indication of a problem. 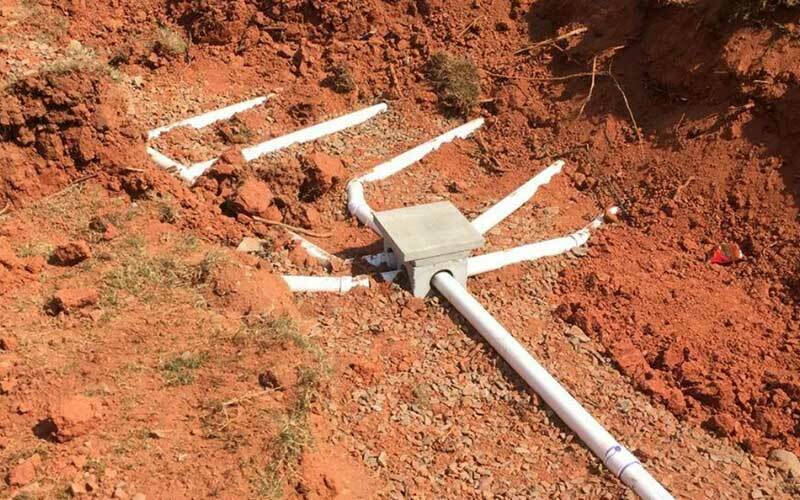 The method and cost of drain field replacement depends on what type of drain field you currently have. i.e gravity, chambers, pump system, etc.